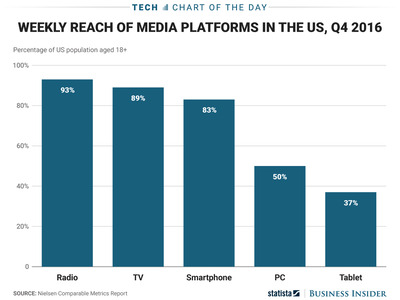 Note that all of this is about reach — when it comes to actual usage, American adults still spend way more time watching TV than anything else. And it’s worth noting that the smartphone’s reach grew nearly 10% year-over-year. 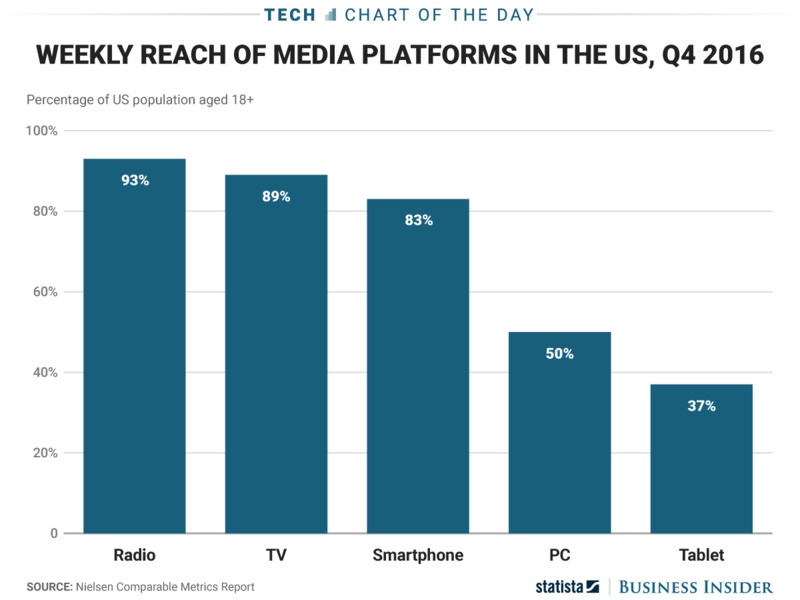 But the enduring usage of the radio seems to suggest that the rise of on-demand streaming doesn’t have to mean the death of older audio technologies. Since the bulk of this radio usage is coming from people in cars, it also suggests the “death of car ownership” narrative may still be a bit premature.